Beach renourishment south of Johnnie Mercer's Pier. In my two decades as a communications professional, one thing I’ve come to learn is that some of the most important and most lucrative tasks are often complicated, difficult to grasp and just plain boring. When I work with young writers, they often want to do exciting things, like be a music journalist or cover art shows or opine on political issues. But I always tell them that they should learn something boring. Financial markets, government regulations, science, the inner workings of any number of industries. There’s simply more money and opportunities for writers who can master these topics. Everyone has an opinion (I think you know where that joke goes.) Only a few people can accurately explain a government rulemaking or how a missed earning report may affect a company’s bottom line. There’s somewhat of a parallel here with the topic of beach renourishment, which is the periodic process of blowing sand back onto the beach, keeping it more accessible to visitors and preventing further erosion. It’s fundamentally at the heart of Wrightsville Beach’s economy. But the topic can also be dry as, well, sand. One thing is for certain, beach renourishment stories are not big clickers on the Lumina News website, which I often use to judge reader interest. But just because it may bore some readers, doesn’t mean it shouldn’t be reported. During the Thursday, April 13 Wrightsville Beach Board of Aldermen meeting, the town got an update from Layton Bedsole, New Hanover County shore protection coordinator, who said that county and town officials would face a point this summer when they would have to decide whether to proceed on its own for beach renourishment. Town manager Tim Owens said it doesn’t appear any current funding measures in the federal budget, which has funded about half of the county’s beach renourishment projects. Bedsole told the board that local officials had to decide mid-July whether to move forward on their own. 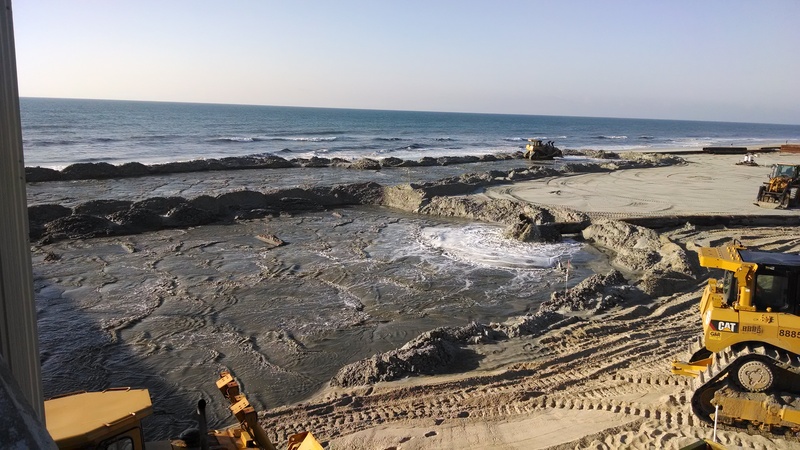 To fund a winter 2018 beach renourishment project for Wrightsville Beach, the next scheduled in the cycle, town and county officials will have to make a decision by mid-July on whether to move forward with the project independently due to delays in federal funding. “If no one steps in, we doing it,” Bedsole told the board. Those funds would mostly come from the room occupancy tax, Owens said. The county has prepared five models for beach sand distribution, most of which would occur to the north and south of Johnnie Mercer’s Pier. The goal is for the report to be ready for legislation in 2020 to help the town get appropriations in 2022. Success would likely keep the town on a four-year cycle until 2036, he said. During the presentation, town mayor Bill Blair described the difficulty of following beach nourishment. If federal funding doesn’t materialize, local officials will put more pressure on the state to accomplish this goal. A recent update to the state Beach Inlet Management Plan showed that the state beaches generated $2.5 billion in direct annual spending. The multiplier effect brings the annual impact to $6.1 billion, while noting beach tourism supports 65,000 jobs in the state. The BIMP plan will be vital tool in helping local officials convince the North Carolina General Assembly to help fund beach nourishment projects, showing the impact could be felt far beyond the Heide Trask Drawbridge. Got something on your mind about Wrightsville Beach? Want to have your say? I am opening the “My Thoughts” column to guest writers from the Wrightsville Beach area. Business owners, clergy, politicians and students are all invited, but you don’t need a title, just an idea. I’ll even help you write if you think you could use the help. I’m willing to consider columns on almost any topic, under a few conditions. All topics must be local or regional. No opinions on the president, Congress or other national topics. They also need to be neutral. No attacks on local politicians, organizations or businesses. No overt promotion of a business or a cause. It should present a somewhat balanced view, even if you are promoting one side of the issue. Of course, our Letters to the Editor section is also available if you only have a little, and not a lot, to say. 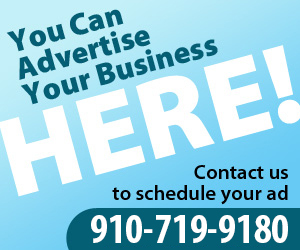 If you’re interested, write me at terrylane@luminanews.com or call (910) 719-9180. I’d be happy to hear your ideas.